For more information on HOW TO ORDER from step 1, please click here. 1. After selcect item ADD TO CART, click your RIGHT hand top to VIEW CART or SHOPPING CART. The final discounted price will be calculated and CHECKOUT. 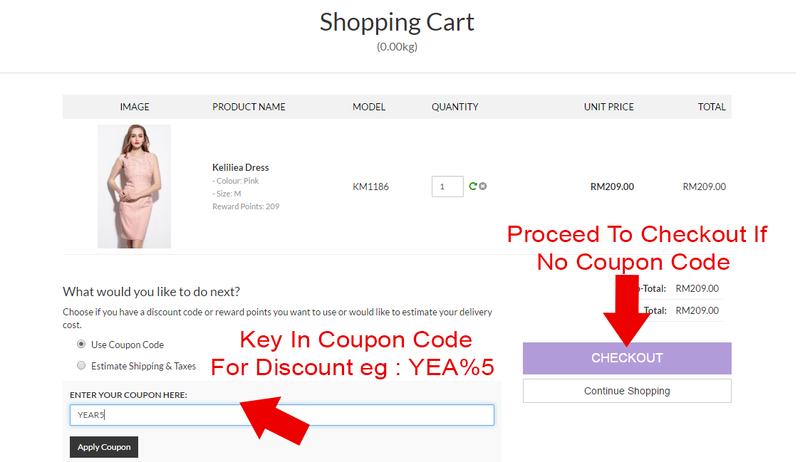 After CHECKOUT, follow the STEPs and STEP 4, if the order is above RM100, click on the FREE SHIPPING option and the postage will be waived.